Vote for our 2010 Readers' Award and you could win £300 of Hi-Spek vouchers! | What Hi-Fi? Vote for our 2010 Readers' Award and you could win £300 of Hi-Spek vouchers! We're busy testing all the latest TVs, hi-fi and home cinema kit – before revealing the winners on October 15th – and now it's time for you to choose YOUR favourite product, too. Do so, and you could win £300-worth of vouchers to spend at Hi-Spek, official sponsor of our 2010 Readers' Award, which is one of our key Product of the Year categories. 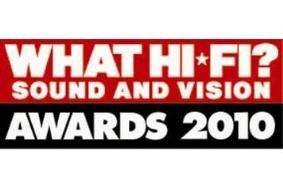 We've drawn up a shortlist of the eight most popular products nominated on whathifi.com, and you now have until September 10th to vote for the product you think should win. The products shortlisted are: AVI ADM9.1, B&W 685, Cambridge Audio DacMagic, Logitech Harmony One, Onkyo TX-SR608, Sonos ZonePlayer S5, Sony BDP-S370 and Sony PS3 Slim. All you have to do to cast your vote is head on over to our Awards website and choose the product you think should win. Easy! Voting closes on September 10th, 2010.